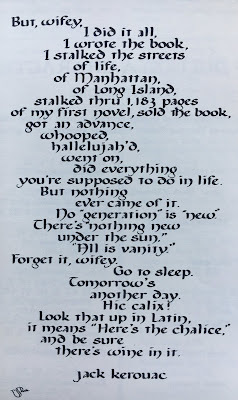 Calligraphy opened up a deeper connection with words and opportunities to share my love of them with others. Living next to Lowell, I immersed myself in the writings of Jack Kerouac, especially his Lowell books: The Town and the City, Maggie Cassidy, Visions of Gerard, Dr. Sax, and Vanity of Duluoz. I had read On The Road, which I had loved at 20 but found hard to get through many of the passages about women when I revisited it this summer. 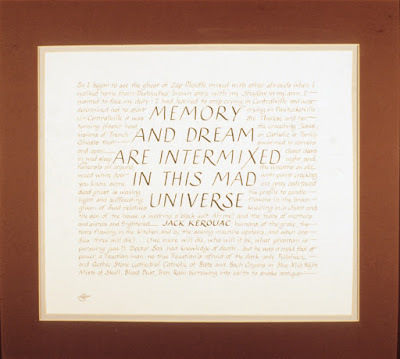 Paul Marion and I organized two Kerouac events with exhibits and programs at Art Alive! The first was KEROUAC LIVES! 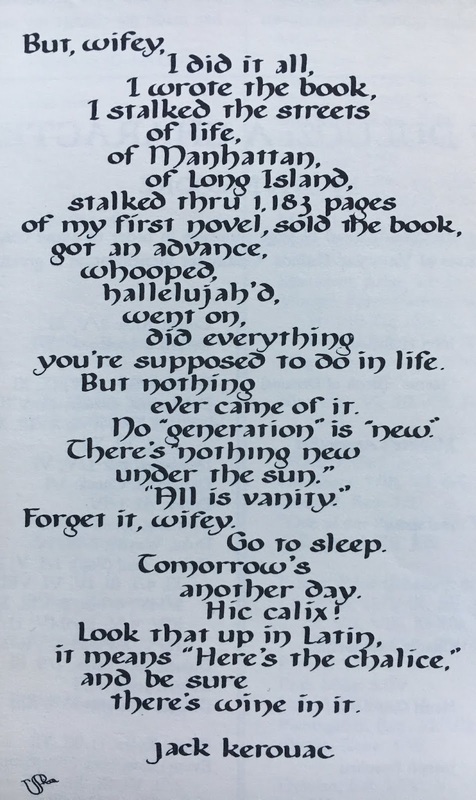 with a series of speakers including Joy Walsh of Moody Street Irregulars and an incredible reading of a long poem by a very young George Chigas. Kerouac's widow Stella Sampas attended along with about 200 others and my husband and I went out after with a childhood friend of Kerouac's, Joe Chaput. It was a memorable evening. 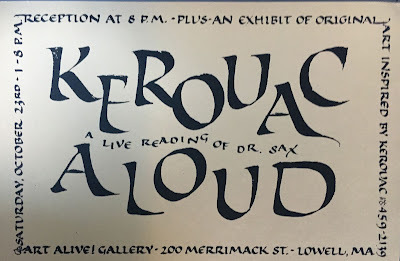 We later did an all-day reading of Dr. Sax and called the event KEROUAC ALOUD. Members of Art Alive! and the community read. 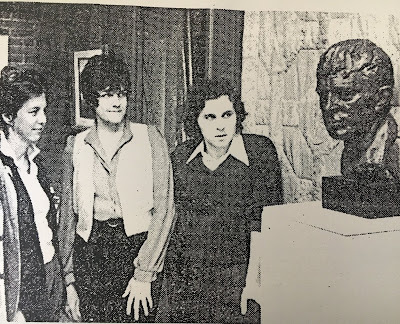 The Kerouac-Lowell connection took us further afield. 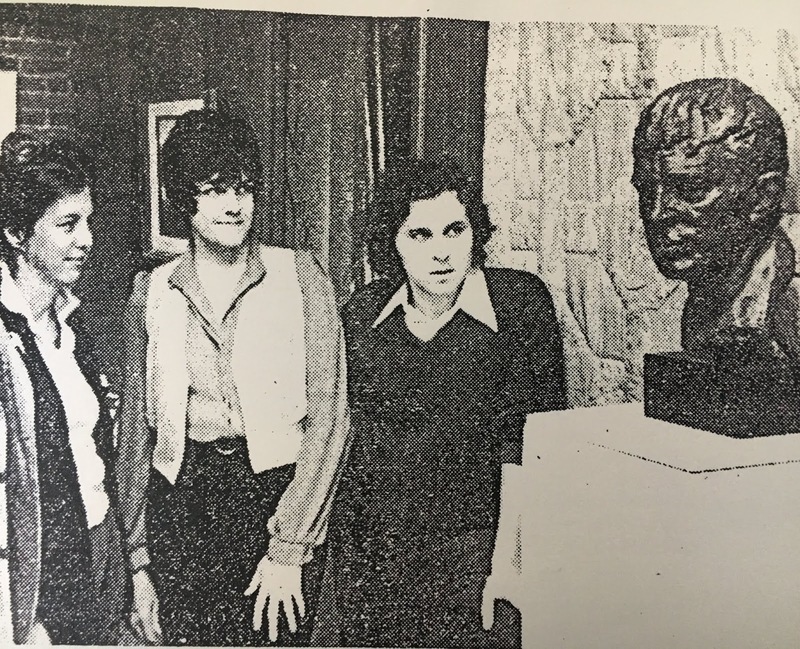 In 1987, a group of artists from Lowell took part in the Rencontre Internationale de Jack Kerouac in Quebec City. We showed our work at the Galerie Quatre Saisons. 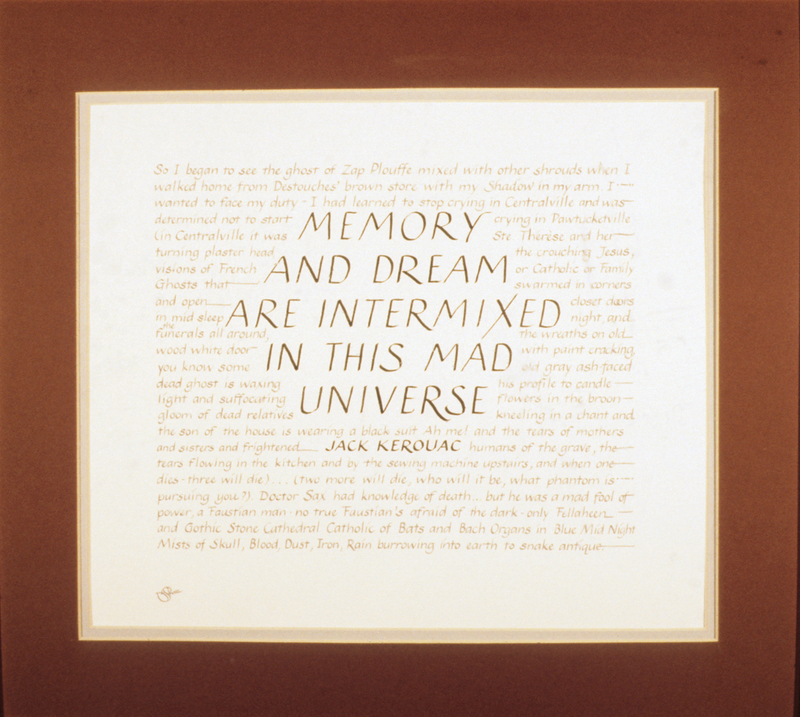 I exhibited a book for the first time: Contradictions: Jack Kerouac, Lowell, the River. It was my first introduction to the potential difficulties of exhibiting books. There was only one pedestal which I was already being used for a sculptural piece so the book ended up on a table and I spent much of the reception removing wine glasses from the table. I later made a limited edition version of the book. I hadn't looked or thought about this one-of-a-kind book in a long time. It's completely hand-lettered and I like it!